One of many things I was grateful for this past Thanksgiving weekend was a stop on our drive back from a holiday dinner in Watsonville, where we feasted with cousins. We stopped at the Cantor Arts Center on the Stanford University campus because the last time we were there, for only a brief hour, we didn't have time to visit Richard Serra's "Sequence" (2006), a steel sculpture of monumental scale and exhilarating beauty. Friday's sky was almost perfectly clear, allowing bright sun and deep shadow to heighten color and dramatic contrast as one moved through Sequence. I made my way slowly through the sculpture again and again, seduced by its fluid power, seductive curves, and hypnotic textures. I know, I know, blah blah blah, you can't see art by talking about it. So here's a walk-through video, taken by an amateur videographer (that would be me) with consumer equipment (that would be an iPod Touch) in two shots, separated by about 20 minutes. The sound track is ambient; the low-pitched engine noise on the 2nd part of the video is the Goodyear blimp flying overhead. It's not the same as being there, but maybe it'll give a glimmer of an idea of the actual experience. Serra's Sequence is loaned to the Cantor Arts Center from the collection of Doris and Don Fisher, and since its creation in 2006 has been exhibited at MOMA in New York and at LACMA in Los Angeles. It will be a part of the inaugural installation of the Fisher Collection at SFMOMA when the new wing of the museum opens in 2016. That leaves plenty of time to see it on the north side of the Cantor Arts Center on the Stanford Campus. Don't forget to visit Andy Goldsworthy's Stone River in the field northwest of the Cantor Center's main entrance, or the Rodin sculpture garden on the south side of the building. It's hard not to be thankful for a visit to Stanford's art museum. In a post of Tuesday titled Athens Polytechnic comes to UC Davis, John Quiggin cites a report published in February of this year that became the basis to abolish a law establishing "university asylum" in Greece. Until it was abolished, university asylum restricted the ability of police to enter university campuses in that nation. No matter what an American thinks of such a law, or its abolition -- whether or not said American knows much about the social and political context in which a "university asylum" law was established in Greece (I don't) -- it's got to catch your eye that one of the authors of this report from the International Advisory Committee on Greek Higher Education was Linda Katehi, currently the Chancellor at UC Davis. Yes, that UC Davis, the campus on which police doused sitting, unarmed, non-violent students with pepper spray late last week. This came to my attention Tuesday via Facebook posts from people with whom I am or have been associated at UC Berkeley, as colleagues and/or as fellow-activists. I've seen it a few places since, but not in mainstream media. Co-authorship of the report is not listed on Chancellor Katehi's on-line CV, but that document appears to predate publication of the report. Blackout? Could people who care about news possibly think this is unimportant? Is the story a hoax? I'm guessing no, yes, & no, respectively, but YMMV. Katehi's co-authorship of the report on Greek universities takes on startling significance when considered beside her tearful apology on Monday for UC Davis police officers' shocking misuse of this "defensive weapon" (a description of pepper spray given by the California Commission on Peace Officer Standards and Training, according to yesterday's SF Chronicle). The politicizing of universities -- and in particular, of students -- represents participation in the political process that exceeds the bounds of logic. This contributes to the rapid deterioration of tertiary education. I don't read Greek, so I didn't even open the MS-Word document copy of the original report linked from Quiggin's blog. The translated excerpt given above was provided by "a Greek friend" of Mr. Quiggin. The politicization of the campuses -- and specifically the politicization of students -- represents a beyond-reasonable involvement in the political process. This is contributing to an accelerated degradation of higher education. Politicization of students, citizens of their own nation, degrades higher education? Really? In Greece? The cradle of democracy? In Athens? Where Socrates held forth to his students, one of whom was Plato? Should the students known as "The Greensboro Four" from the Agricultural and Technical College of North Carolina have stayed in their dorms studying in 1964 rather than sit at a Woolworth's lunch counter where they were 'forbidden' to sit so that their courage could give a critical boost to the burgeoning Civil Rights Movement? Would the authors of this report have had students sit out protest against the Vietnam War? Would they have had the South African high-school students who rebelled against that nation's apartheid regime in 1976 remain at their desks? Would they have had Chinese students who turned out by the tens of thousands in Tienanmen Square in 1989 remain docile in their classrooms? And this from a Chancellor whose tearful apology of Monday referred to the Athens Polytechnic uprising of 17 Nov 1973 -- with apparent respect, as a bid for cred to her university's students, it seemed? A university-based uprising that resulted in a military junta piloting tanks -- tanks! -- onto campus to enforce the junta's rule ... when Katehi was a student at that university??? Okay, I've never even visited the country as a tourist, but I'm willing to allow for the possibility that my media-filtered perception could be true. Maybe it is the case that Greek politics get really volatile really quickly ... but still. Was Chancellor Katehi leaking crocodile tears on Monday? Or was she realizing how far she'd fallen from where she'd once been? This is a campus leader whose co-authorship of the report of the International Advisory Committee on Greek Higher Education suggests pretty clearly that she doesn't believe students on a university campus have any business mixing education and engaged citizenship (a.k.a., political involvement). Not any longer she doesn't, whatever her position might have been in 1973. How far is it from Katehi's current political position to setting campus policy that directs campus police to meet campus protest with disproportionate force? It's almost enough to lead a person to theorize conspiracies. The East Bay Express ran an article in this week's issue titled Blaming the Bass. It's a California water-wars story. The article was a piece of political journalism, but what struck me had more to do with my interest in narrative than my interest in politics. Background first: as many on the west coast of the U.S. know, we've got a bit of a salmon crisis going. In a sound byte, the Pacific salmon fishery collapsed in 2008. Much evidence and the analysis of many scientists, environmentalists, and salmon fishermen indicates that water siphoned out of the San Joaquin River Delta has a great deal to do with this collapse. Many farmers, for whom said water is siphoned from the delta, are eager to find a different culprit. For background, you might start with Colin Sullivan's article, Salmon Fisherman Swim Against Political Tide in Long-Running California Water War (NY Times, 2 April 2010). There's a convergence of interests in mitigating or reversing the conditions that have led to the collapse of the Pacific's salmon population, whatever those conditions might be. People like to eat salmon. People who are invested in fishing for salmon would like to continue to make a living that way. People who like hanging out in forests -- or who are convinced that healthy coasts and watersheds are fundamental to the health of our planet -- those folks are eager to get behind forms of environmental regulation that constrain and repair damage done to streams and rivers, in which salmon spawn. Farmers in the state's Central Valley are, in some respects, a competing interest, and that's what Blaming the Bass is about in the East Bay Express this week. In a nutshell: Some say that the collapse of the salmon fishery is less about water siphoned from the delta and more about too many bass that live in the delta. In this narrative, bass eat salmon smolt (young salmon) in quantities that significantly diminish the salmon population. Therefore, the proponents of this narrative argue, people who fish should be permitted to take more bass and younger (smaller) bass home with them than current Fish and Game Commission regulations permit, which would reduce the population of bass ... and, by extension, restore the salmon fishery without need (or without as much need) to limit water pumped out of the delta to irrigate farms. In the counter-nutshell, others say that bass have little or nothing to do with declining salmon population, and that this business of killing bass to save salmon is piffle. Those who follow the money (and the water) argue that the bass-kill-salmon narrative is aimed simply and disingenuously at undermining effort to reverse diversion of water the salmon depend on to swim upstream and spawn. They say that undermining that effort is being spearheaded by agricultural interests for whom less water diverted to farms means less profit. I have no expertise or authority that qualifies me to judge on your behalf. So I'm not going to say, at least not categorically. I do have my sense and sympathies that have evolved over years of following California water-wars ... and -- full disclosure -- as I have come to understand those wars I'm inclined to distrust agricultural interests that have acted with consistently reckless short-sightedness against those who seek shared water use among diverse interests and species. So don't take my word on any of the substance of water-war issues. In fact, I'm not aiming to prove one story or another in this blog post. The thing I want to point out is how much is at stake -- politically and economically -- in telling the story of the salmon fishery's collapse. One way or another. I'd go so far as to say there's no such thing as a story that lacks a point of view. The plummeting catch has led to the cancellation of the commercial salmon season the past two years, causing the loss of 23,000 jobs and $2 billion in revenue, according to a study by Southwick Associates, an analytical firm that specializes in resource issues. That's a lot of jobs and a lot of money. So let's look a little more closely at how the narrative is being controlled and by whom in this week's East Bay Express story. Professor Peter Moyle of UC Davis claims in the article that striped bass have been falsely implicated and used as a scapegoat for environmental damage caused mostly by the over-pumping of water from the delta. David Ostrach, formerly of UC Davis and a former colleage of Moyle's says that, "Striped bass and salmon and delta smelt all coexisted and thrived together until the 1960s, and these fish all concurrently declined when they turned on the switch of the water projects." Ostrach and Moyle both assert that no credible data exists showing that striped bass predation has ever had a significant impact on salmon numbers. They say that predation occurs substantially only in several isolated "hotspots" where pumps, levees, and artificial sloughs create a confusing network of waterways in which striped bass easily ambush wayward salmon smolts. You might well ask whether the journalist who wrote this story, Alastair Bland, selectively picked expert sources sympathetic to a particular point of view, perhaps Bland's own. I don't know the answer to that question. I would like to think not, but then I tend to find scientists truthful, as I believe they are kept honest by community norms that require assertions to be justified by empirical evidence, and peers who check each others' sources and methods and facts. I am less ready to trust in the honesty of industry-funded lobbying organizations like the so-called "Coalition for a Sustainable Delta" (cited in the story as a principal proponant of the narrative that blames striped bass for collapse of salmon population). That organization has a web site rife with that we're just citizens concerned with the common good look, combined as it is too often with reticence about just who funds the organization's activity. You know what I mean, it's that industry-funded lobbying organization look that is evident throughout our nation's twenty-first century corporatocracy. Go ahead, look for yourself. Well, maybe the idea was that the parties would compromise out of fear that there would be a political price for seeming intransigent. But this could only happen if the news media were willing to point out who is really refusing to compromise. And they aren't. If and when the supercommittee fails, virtually all news reports will be he-said, she-said, quoting Democrats who blame Republicans and vice versa without ever explaining the truth. Oh, and let me give a special shout-out to "centrist" pundits who won't admit that President Obama has already given them what they want. The dialogue seems to go like this. Pundit: "Why won't the president come out for a mix of spending cuts and tax hikes?" Mr. Obama: "I support a mix of spending cuts and tax hikes." Pundit: "Why won't the president come out for a mix of spending cuts and tax hikes?" You see, admitting that one side is willing to make concessions, while the other isn't, would tarnish one's centrist credentials. And the result is that the G.O.P. pays no price for refusing to give an inch. Scientists, environmentalists, and fishermen are trying to control the narrative of why the Pacific salmon fishery collapsed, backing up their story with history and evidence. The bass-blaming farmers and their blandly-named coalition are trying to control the narrative too, backing up theirs with things that look less historical and less honest to me -- but you'll have to decide for yourself which story you believe. See, everybody tries to control narratives. The so-called "birthers" tried to shift perceptions about the legitimacy of the Obama presidency by making up stories about his birth certificate. Climate-change deniers attempt to spin the miniscule percentage of credentialed scientists who argue that humans have nothing to do with global warming into a narrative about a 'split' in scientific opinion. UC Berkeley Chancellor Birgeneau tried to tell a story a week and a half ago in which non-violent protesters incited a police beating, but then he realized that evidence contradicted his claims and changed his tune. Critics of the Occupy protests tell stories that paint the entire movement as a ragtag, violent, and unhygenic convergence of hooligans and hooliganism; Occupy naïfs tell stories in which the destructive or violent acts of some don't count because the vast majority of protesters and supporters aren't participating in those acts. Each of these narratives has its believers, sad to say. 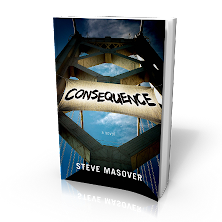 There's enormous power and consequence in shaping such stories. Narratives take root, and come to govern what people believe, how they behave, what political leadership and initiatives they support. In a better world -- in my idea of a better world, anyway -- critical analysis would play a greater role in shaping belief, behavior, and political loyalties. But in the world we've got? Story matters. You've just got to hope that people will, more often than not, discount the stories that veer furthest and most irresponsibly from truth. 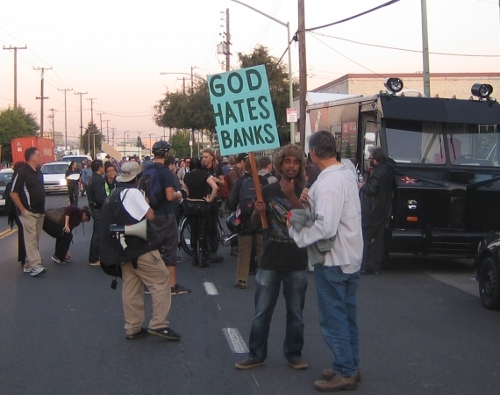 Much has been written about the Occupy movements in San Francisco's East Bay Area, but I think there's still room for further exploration of the core principles at stake in the relations of government (broadly speaking) to the Occupy protests. I'll frame this exploration with a remarkable stream of morphing statements emanating from the office of UC Berkeley's Chancellor Robert J. Birgeneau. Many readers will already have seen on YouTube video showing riot-geared UC Police (UCPD) striking and swinging at unarmed, non-violent students on Wednesday of last week (9 Nov 2011). Frankly, I find this video almost unwatchable, but if you haven't seen it or its cousins yet, I'm afraid you should. The organizers of Occupy Cal asked those who were willing to stay and link arms to protect those who were attempting to set up the encampment; I chose to do so. I knew, both before and after the police gave orders to disperse, that I was engaged in an act of civil disobedience. I want to stress both of those words: I knew I would be disobeying the police order, and therefore subject to arrest; I also understood that simply standing, occupying ground, and linking arms with others who were similarly standing, was a form of non-violent, hence civil, resistance. I therefore anticipated that the police might arrest us, but in a similarly non-violent manner. When the student in front of me was forcibly removed, I held out my wrist and said "Arrest me! Arrest me!" But rather than take my wrist or arm, the police grabbed me by my hair and yanked me forward to the ground, where I was told to lie on my stomach and was handcuffed. The injuries I sustained were relatively minor--a fat lip, a few scrapes to the back of my palms, a sore scalp -- but also unnecessary and unjustified. We are not equipped to manage the hygiene, safety, space, and conflict issues that emerge when an encampment takes hold and the more intransigent individuals gain control. [...] It is unfortunate that some protesters chose to obstruct the police by linking arms and forming a human chain to prevent the police from gaining access to the tents. This is not non-violent civil disobedience. By contrast, some of the protesters chose to be arrested peacefully; they were told to leave their tents, informed that they would be arrested if they did not, and indicated their intention to be arrested. They did not resist arrest or try physically to obstruct the police officers' efforts to remove the tent. These protesters were acting in the tradition of peaceful civil disobedience, and we honor them. There is no telling what the Chancellor was thinking. He was in Asia, distant from events, necessarily relying on his subordinates in the administration ... who seem to have misled him. Nonetheless, Birgeneau's equation of "linking arms" with "not non-violent" acts is a statement of principle, not an analysis of the events of 9 Nov. It is hard not to hold him responsible. Professor Langan takes the Chancellor to task eloquently on this point in the blog post from which I quoted, above. 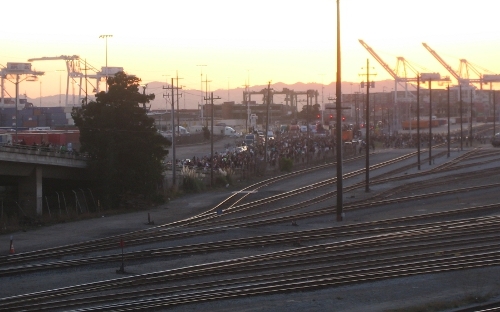 In many cities, including most prominently Oakland and New York, tent encampments on public spaces by the Occupy Wall Street movement have been cleared in early morning raids by police (read about the Oakland situation here). This time, at least, police violence seems to have been minimal. But what is regrettable is the use by city leaders of the lame excuse that "crime" problems necessitated the end of the encampments. It may be that the Occupy Wall street movement must generate new meaningful actions to build its momentum, but the claims that the encampments were generating unacceptable levels of crime is both false and reflexive. To the latter point first. The gist of the argument behind this blog, and the book, Governing through Crime: How the War on Crime Transformed American Democracy and Created a Culture of Fear, is that political leaders facing a chronic legitimacy deficit since the late 1960s have frequently used protecting citizens from crime as the least problematic way of justifying the exercise of power. I think that this business of beating non-violent protesters to protect (other) citizens can be boiled down to a simple sound byte: across the political spectrum of elected and appointed officials in the United States, from former POtUS George W. Bush to, in last week's unfortunate missive, Berkeley's Chancellor Birgeneau, authorities want us to believe that disobedience and violence are the same thing. If this weren't a family blog, I'd say f*ck that sh*t.
We believe that we can best move forward by granting amnesty from action under the Student Code of Conduct to all Berkeley students who were arrested and cited solely for attempting to block the police in removing the Occupy Cal encampment on Wednesday, November 9. We will do so immediately. I believe that as a campus community, we can and must join together and focus on our common goals - inducing the state to reinvest in public education, working to repeal Prop. 13, finding a way to reverse Prop. 209, and instituting reforms that will help California regain its status as the door to the American Dream through public higher education. [...] We share the aspirations of the Occupy movement for a better America. I am confident that as a campus community we will find a peaceful and productive way forward. As a watcher of Berkeley campus politics from my student days in the late 1970s through now (I am currently a staff employee at Cal), let me assure you that this is an extraordinary reversal for a Chancellor. Amnesty for student protestors is not granted easily or arbitrarily on our campus, or by this administration. I would not like to be the idjut who told Birgeneau-in-Asia that matters were so dire that he ought to conflate violence with peaceful civil disobedience. He's got to be pissed that he was forced to pull such a clumsy about-face. Maybe not as pissed as Professor Langan or student and community activists, but plenty angry nonetheless. Perhaps the object of his ire is UC Police Captain Margo Bennett, who emitted this same absurdity to the SF Chronicle in advance of Birgeneau's e-mail. Or perhaps she was toeing a line drawn by the same administrator who misled the Chancellor. We may never know. We all share the distress and anger at the State of California's disinvestment in public higher education. IN THE SPIRIT OF TODAY'S DAY OF ACTION, I AM URGENTLY CALLING ON THE POLITICAL LEADERSHIP FROM SACRAMENTO TO COME TO CAMPUS TO ENGAGE WITH ME AND STUDENT REPRESENTATIVES IN A PUBLIC FORUM TO DEBATE THE FUTURE OF PUBLIC HIGHER EDUCATION. Yes, the Chancellor is calling for a forum and a debate. It's not a "radical" tactic by any stretch of the imagination; but the call is in keeping with an academic milieu, with his leadership position, and with Birgeneau's 2009 call in the Washington Post, co-authored with Vice-Chancellor Frank Yeary, for deep recommitment to public higher education, funded by the Federal government. Let's hope also that his latest call for "bold action" signals the Chancellor's reassessment of his absurd conflation of disobedience with violence, of five days before. 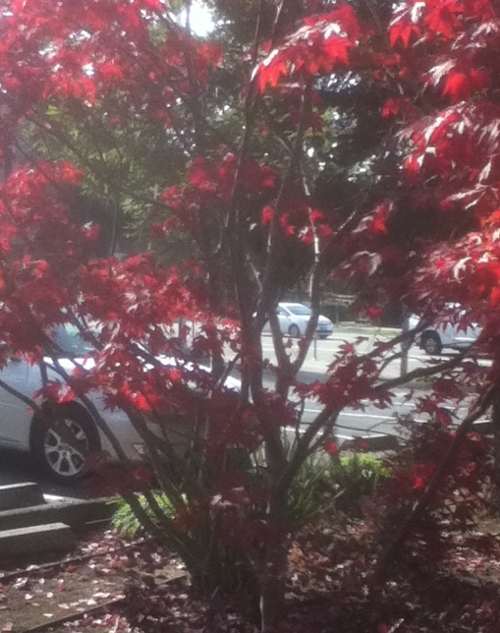 It's almost always a beautiful time of year where I live. We're lucky that way, so long as you can live with the occasional earthquake. Walking around town this weekend, I was struck by two things. First, the maples have gone flaming red. Second, the prickly pear cacti are blooming. Here's a three-way mashup: opera, literature, and research on the intertubes. It's opera season in San Francisco, and while I'm not a full-season subscriber I see about half the season each year. This Fall I've seen SF Opera's productions of Puccini's Turandot and Donizetti's Lucrezia Borgia. Handel's Xerxes is on deck for the coming week. I had a hard time with the form at first. Where lyrics set to music is concerned I'm all about the words -- I admitted as much in Are you a lyrics person?, a post of April 2010. I paid attention to the stories in the operas I saw, and was distracted from the dramatic power of the scores by silly libretti, constrained acting, and often-overblown staging. 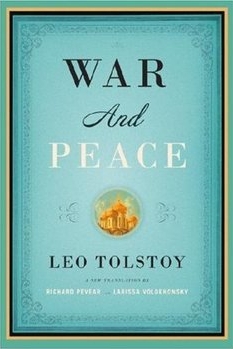 As I've mentioned a couple of times, I'm taking this year to read Tolstoy's War and Peace (Slow reading: Tolstoy's War and Peace, Tolstoy on 'hidden histories'). When I got to the author's rendering of an opera performance, in the point-of-view of young Natasha who is attending her first opera, I found it hilarious ... right in line with my early experience of the form. The stage consisted of flat boards in the middle with painted pieces of cardboard on the sides representing trees, and canvas stretched over boards at the back. In the middle of the stage sat girls in red bodices and white skirts. One, very fat, in a white silk dress, sat apart on a low stool with a piece of green cardboard glued to the back of it. They were all singing something. When they finished their song, the girl in white went up to the prompter's box, and a man with tight silk breeches on fat legs, and with a feather and a dagger, came up to her and began singing and spreading his arms. The man in tight breeches sang alone, then she sang. Then they both fell silent, music began to play, and the man began to touch the hand of the girl in the white dress with his fingers, evidently waiting for the beat again so as to begin his part with her. They sang together, and everybody in the theater clapped and shouted, and the man and woman on stage, who represented lovers, began to bow, smiling and spreading their arms. Tolstoy goes on like that for paragraphs. According to Joel Hewett, Verdi, Meyebeer, and Gounod were primary influences as was as Donizetti's La Fille du Regiment and probably a couple of Rossini and Bellini operas as well. Sounded convincing. Sounded as though somebody did their homework. I looked for Joel Hewett. Who is he? What did he really write? Hmmm ... my original source on TalkClassical.com was already a bit off. It wasn't Joel Hewett who made the assertion, it was David Lowe, cited by Hewett. The list of works that Lowe and Rosen consider as possible sources for the opera scene is incomplete, however. Omitted from Lowe's catalogue and Rosen's content analysis is Mikhail Glinka's A Life for the Tsar, which Tolstoy attended in December 1864. [...] Tolstoy's boredom with the repetitive score of A Life for the Tsar and the insufficiently interesting audience may well have inspired the 'estranged' depiction of the opera's on-stage action. Maybe the contributor to the TalkClassical.com thread didn't get further than the Hewett article's abstract. And there you have it: the peril of hasty research, limited to the first thing or three you find at the top of a page of search engine results. It's way too easy to come up with a jumbled answer. As I asked a few weeks ago, in Japan vs. United States in squishy numbers, what have you done lately to verify information found on the intertubes? 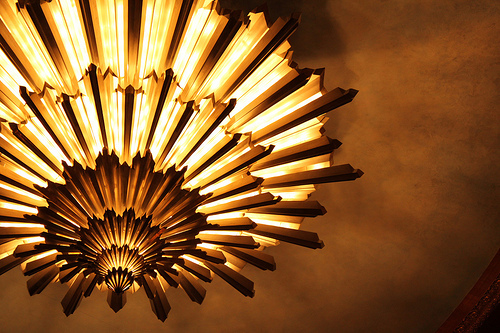 Thanks to Jaymi Heimbuch for sharing her photo of the chandelier in the San Francisco Opera House via Flickr. On Friday afternoon I spent an hour at the Cantor Center for the Visual Arts, a.k.a. Stanford University's art museum. We were in the neighborhood for an opening at the Pacific Art League in downtown Palo Alto, where my partner's painting Lake is being exhibited through November 23rd in a show titled Scapes: Land, Sea & City. Of the many lovely and provocative pieces at the Cantor Center I continued to think about two over the weekend: Georgia Granite Circle, created by Richard Long; and Stone River, created by Andy Goldsworthy. Each of these is a stone sculpture. Georgia Granite Circle is one of those pieces that a person could glance at and think, eh, a pile of rocks in a circle. But the piece bears long looking. Each of the uncut stones is rough, uniquely banded, particularly irregular. None are obviously shaped or even selected to fit beside its neighbors. And yet these coarsely beautiful rocks are set into a more-or-less perfect circle on a patio of the museum. There's artifice, certainly, in the proportions of the circle relative to its component stones, in the feel of the piece, its heft, its solid mass and sharp edges contained in smooth roundness. Stone River is arranged with more readable intention: the stones were cut and fit in place by the artist and a crew of craftsmen under Goldsworthy's direction, and the sinuous wall is set in a trough dug into a field outside the museum. It is harder, I think, to dismiss, even by those inclined to sneer at modern, materials-centric art. That Goldsworthy was able to make 128 tons of sandstone seem to flow like water, and to evoke the eeriness of coming upon this weighty, hard, lovely, flowing stone thing set into the earth -- as though it had been dug up by archaeologists, or is sinking of its own massive weight into the earth -- there's artistry in the piece that can't be written off. If you don't know Goldsworthy's work and the photo of Stone River inspires curiosity, I recommend Rivers and Tides, a haunting documentary released in 2001. Spending an afternoon and evening looking at works of art, sensitized by a new alertness to opportunity for casual photographs I can post to my Tumblr, had me staring the following afternoon at the pastry display at a café I particularly enjoy in Berkeley, from my favorite table tucked into a corner of the café's mezzanine. 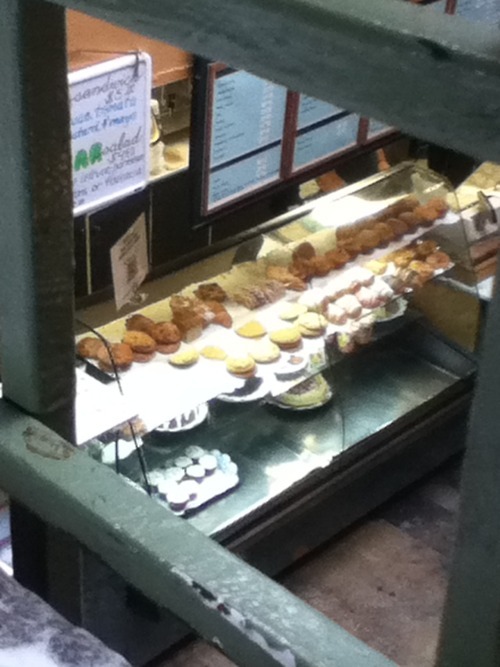 Round cookies and muffins and scones and cupcakes and cheesecakes. Squarish slices of coffee cake; cinnamon buns rolled in spirals; filled oval-shaped croissants, and the crescent-shaped, buttery plain ones. The rail of Café Milano's mezzanine is made of square iron tubestock welded into a grid, painted and repainted a weathered sea-green. I stared down through a square iron frame at the stacks and slices of edible forms. [...] I decided to walk through the gallery again, this time glad there was hardly anyone else there. And when I understood what it was that drew me, I circled the gallery once more, to make sure. I read somewhere that when people first celebrated the distinct point of view of Lartigue's early photographs, it took a while before someone pointed out that it was the natural angle of a small boy with a camera looking up at the adults he was photographing. What I was seeing now in the gallery was the exact angle of vision Cassius and I had that night, from the railing, looking down at the men working in those pods of light. An angle of forty-five degrees, something like that. I was back on the railing, watching, which is where Cassius was emotionally, when he was doing these paintings. Good-bye, we were saying to all of them. Good-bye. Shape, repetition, angle. The most ordinary things, be they stones or scones. There for the seeing. Two things happened in my little life this week that strike me as TMT. Too much technology. I'm going to blog about that because everybody else in the world is blogging about the Occupy movement, and I've filled my quota for the week. Well, okay, OWS does come up at a certain point in this post. And, what the heck, I'll put up photos from last night's shutdown of the Port of Oakland, which was a rousing success, included about a zillion people out to participate in the blockade, and turned out to be a great way to run into old friends. First, I found myself using Google's search engine to find out how to spell a word. Not because I don't have a dictionary. Heck I have multiple dictionaries, I'm a reference-book fetishist. And I've got Merriam-Webster on my desktop computer. And I've got Merriam-Webster's free and fabulous app on my iPod Touch. But back to dictionaries vs. Google. If Google does everything, why not use it? Am I right? What led me to the search box was a flailing effort to spell a word correctly (I'll not say which word, to paraphrase Woody Guthrie). Point is, I was far enough off that my desktop app wasn't helping. It isn't good at inferring what I meant to spell, whereas Google does this trick pretty nicely. Those who follow agent blogs might have seen John Rudolph of Dystel and Goderich, on Googling vs. looking things up in reference manuals just a couple of days ago. So I'm not the only person noticing The Change. Is something in the jet stream turning us all into Google Zombies? Second, I got a robocall the other night. That's not news, I get robocalls all the ding-dang time, just like you do. This robocall? It was some speed-talking robowoman urging me to support ... wait for it ... Occupy Wall Street. She identified herself as a caller from Justice for All, which is either an organization that tries to undermine women's reproductive rights (sorry, not linking to them); or a "Criminal Justice Reform Organization" that thinks the U.S. government's efforts are "inadequate in protecting the lives and property of law-abiding citizens" (not linking to them either; and, by the way, they explicitly deny sponsoring these calls); or ... somebody else. I hung up and ... um ... Googled for robocalls about Occupy Wall Street -- and was directed by the friendly server farms at the world's favorite search engine to a fellow on Posterous who posted an audio file of the exact same call that I got. 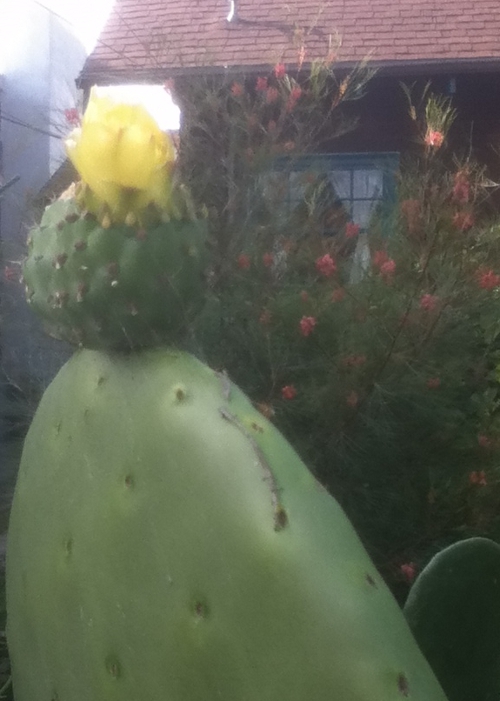 Check it out on Shaun's posterus. Does it ever seem to you that Being Connected is just too much? Thanks to me for snaps of Occupy Oakland's shutdown of the port yesterday evening, and especially the one of the fellow who turned out to be a friend of a friend and was carrying the best sign of the evening, a takedown of the extremists at the Westboro Baptist Church of Topeka, Kansas.